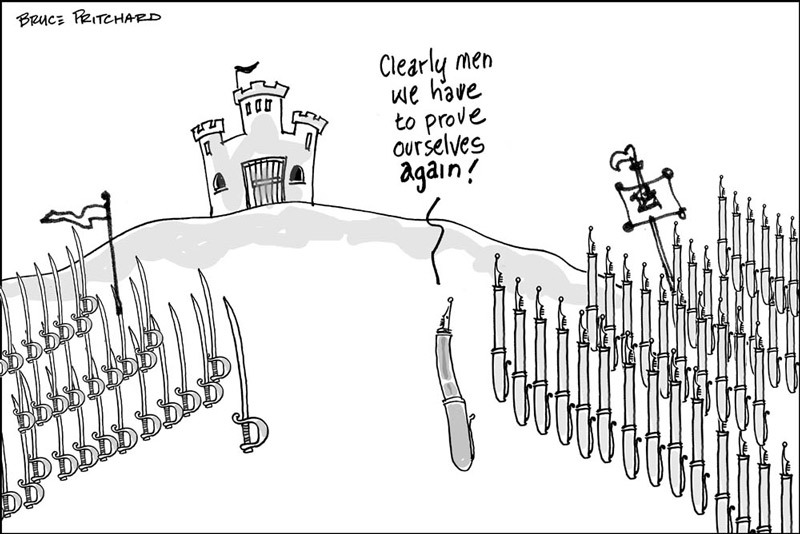 This is one of my all-time favorite cartoons. Bruce Pritchard, graciously gave his permission for me to use it. Visit his website or send him an email. This series of pages started February 8, 2007. I got the idea for these pages from Keith Olbermann's Countdown and his nightly Worst Persons in the World. The only difference is that this site will feature faith healers, psychics, astrologers, chiropractors, energy healers, homeopaths, channelers, shamans, naturopaths, applied kinesiologists, and other New Age charlatans and those who promote them. If you have any suggestions please let me know. Dedication: There was a small boy on crutches. I do not know his name, and I suspect I never will. But I will never forget his face, his smile, his sorrow. He is one of the millions robbed of hope and dignity by charlatans discussed in this book. Wherever and whoever he is, I apologize to him for not having been able to protect him from such an experience. I humbly dedicate this book to him and to the many others who have suffered because the rest of us began caring too late. From the introduction: This book is written by an angry man. It is a cry of outrage against a wrong that needs to be righted. People are being robbed of their money, their health, and their emotional stability. The little boy on crutches to whom I dedicate this book, and the countless thousands of others who have suffered as he has, deserve your attention and your help. Those who have hoaxed them deserve the full impact of the law, which can only be brought to bear if you demand it. About two years ago I first became aware of all of this New Age (for lack of a better word) stuff that you’ll see on these pages. Sadly, it cost me dearly, and ended a relationship that is extraordinarily important to me. I just could not accept that someone who I cared a great deal about, sought bogus and inert treatments from no telling how many charlatans. It was truly unbelievable and I was devastated. (For more about this check out my reverend page). And, yes, I am extremely angry and full of rage because of it. That I am. It seems that when people get caught up in this stuff, it’s as if someone has taken control of or stolen their brain. It reminds me somewhat of The Body Snatchers with Kevin McCarthy. There’s little or nothing that you can do. Even though it all falls in the face of common sense, it doesn’t make any difference. Eventually, I’ll have a page entitled The Santa Claus Syndrome, that will attempt to explain how reasonably intelligent people can believe this stuff. How people can plan their lives and make serious life decisions based on an astrology reading. How people can use a chiropractor as their primary care physician and be subjected to every bogus treatment known to mankind, as well as being hustled to buy herbs and supplements with no proven therapeutic value. How people can pay so-called healers, who from their living rooms claim they’ll send out healing energy. Think about that for a minute folks: these people sit in their house that could be several miles from you, across country, or for that matter across oceans, and claim they are going to heal you. So folks, this is sort of a thumbnail about how I came to be sitting here pounding away on my computer. Dedication: Yes, of course, this is dedicated to the person who put me on this path. May she one day see the light. Yes, folks, these are the ones who you go to after a loved one dies, and you want to talk to them. These are some of the worst of the worst, as they prey on us at our most vulnerable moments. This will take you to the Worst Persons in the World psychic page. There's just no end to what kinds of bogus pseudo treatments the chiroprcators will come up with. And, sadly, few if any have any proven therapeutic value. The gullibility of some us is endless, and hey, after all, they’re doctors. I’ve actually had some experience with a chiropractor. Well, I went to one….for a consultation. Even though over the years many folks had remarked about how great chiropractors are, there was something in me that knew better. Well, I then started developing excruciating pain that ran from my back down through my right leg. In fact, it got to the point that I could barely walk. When it was at its worst I could only walk 15 or 20 feet without “resting.” Anyway, my PCP gave me an x-ray and then referred me to an orthopedic spine specialist, who ordered an MRI. I had the MRI, dropped it by his office, but never made an appointment. The pain reared its ugly head again and I was desperate. The PCP said that I could try a chiropractor. It took everything in me and a ton of pain before I made an appointment. Well, the chiropractor put my x-ray up on a light box and marked it up with red grease pencil, then showed me a model of the spine and told me I had pinched nerves. Said he could fix me up. Thirty visits at $60 or 60 visits at $30…can’t remember which. Anyway, I was out of there. No way was I going to let this guy screw with my spine. It just felt too weird in there. He showed me this little mallet like thing that he was going to use. Let me out of there!!!!! Soooo, what happened to the pain? It eventually went away. That was four or five years ago, and I’ve had little trouble since. This will take you to the Worst Persons in the World chiropractor page. These are the books I've purchased over the past couple of years. This will take you to the Worst Persons in the World book page.